In An Explorer’s Guide to Julian of Norwich, Veronica Mary Rolf introduces readers to medieval Christian mystic and theologian, Julian of Norwich. Rolf, having studied Julian’s writings at length, translated her writing from Middle English, and also clearly finding them deeply personally transformative, provides a robust yet accessible introduction to this important theologian. Rolf structures her book in two parts. Part one provides context on the era during which Julian lived and prominent themes within her writings, and part two tackles what is perhaps best known of Julian of Norwich – her Revelations. Rolf begins her book by making a case for the relevance of Julian’s writings in the twenty-first century. She believes the many similarities between the life Julian lived and the experiences of those living in the twenty-first century make Julian’s reflections and writings on her experience timely for today. She carries this theme throughout the book, pausing in some chapters to offer a nearly devotional-type reflection on Julian’s work. Rolf begins by providing context of the world in which Julian lived and wrote. The medieval England into which Julian was born was difficult and chaotic, marked by rampant disease (most notably, the plague), high mortality rates, limited opportunities and education for women, and struggles over who was able to interpret Scripture. It was from this world that Julian retreated as an anchorite. Section two of the book focuses on Julian’s sixteen revelations and her writings. Rolf provides a summary of each of Julian’s revelations, and then discusses Julian’s reflections on her experiences as well as the theological themes Julian explores. Her revelations, the first received during a serious illness, can be understood as visions. Whether or not her visions actually happened, or the veracity of her revelations, is not a question Rolf engages. She takes Julian at her word, describing Julian’s revelations: “All we have is her testimony that in an extraordinary series of mystical but very real experiences, she ‘saw’ the Lord” (69). While each revelation is different, a majority of Julian’s revelations were from the event of Christ dying on the cross. These experiences were very profound for Julian, and she spent the rest of her life reflecting on their meaning. With each revelation Julian reflected on a different aspect of the nature and character of God, the trinity, and what Christ has done on the cross. Reflection on these revelations deepened Julian’s faith and trust in God as well as expanded her understanding of who God is, Rolf writes, and, in turn, Rolf hopes that Julian’s writings can also serve as a springboard for deepening the faith of readers. One prominent theme in Julian’s reflections on her revelations is her belief that in God there is no wrath. Consistently throughout several of revelations, Julian encounters the “eternally constant” (91), ubiquitous, powerful and deeply pursuant love of God through Christ on the cross. As Julian experienced this theme again and again, she concluded that God is not inherently a God of judgment seeking punishment for sin, but a God who, because of his love, sent his son to die an excruciating death on the cross to save humanity from sin. Also throughout Julian’s revelations, and particularly of note to egalitarian readers, is Julian’s fairly extensive use of the language of mother in reference to God and Christ. Julian equated much of Christ’s experience and the way he relates to human persons as a mother-child relationship, and thus was comfortable in referring to Christ as “mother”. She even went so far as to understand the death of Christ on the cross as an experience of childbirth; during his time on earth, Jesus experienced everything a woman might experience. Throughout this text, Rolf does a superb job at acquainting readers with the life and writings of Julian of Norwich. By including portions of Julian’s own writing, Rolf affords the reader the opportunity to even engage with portions of Julian’s primary text along with helpful commentary. This combination provides a thorough introduction to an important theologian. While Rolf’s text is an excellent introduction to and summary of Julian’s writings, I would have valued further critical dialogue with Julian’s writings. Particularly regarding Julian’s perspective on the lack of wrath within God and to the question of whether Julian is straying from orthodoxy here, Rolf replies: “Not at all” (172). Rolf seems eager to affirm Julian’s theology, but as a reader I am hesitant to do so without deeper analytical engagement of her theology of wrath and love. Additionally, while Rolf provides a helpful sociological and historical context for Julian, a more robust discussion of her theological context would be helpful. Rolf mentions briefly how Julian’s theology of God being love and not wrath contrasts with the thinking of the time, leaving the question of how perhaps a reaction to her current context informed Julian’s theology. Overall, An Explorer’s Guide to Julian of Norwich is a worthwhile text. Without “dumbing down” the complexities of Julian’s thinking, Rolf renders Julian’s writings accessible to the lay person and academic alike. 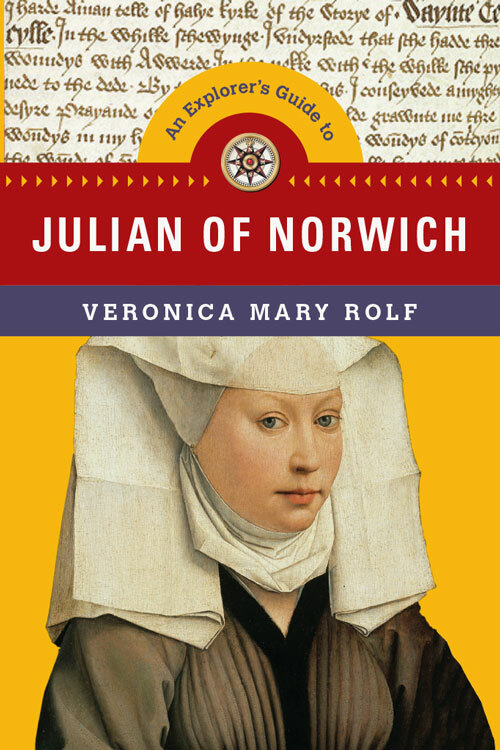 Rolf’s devotional prompts encourage the reader to engage with Julian of Norwich not only on an academic level, but provides opportunity to gain practice in applying primary theological texts in one’s personal life. This refreshing integration technique makes not only Julian herself more engaging but also encourages the reader in their own relationship with Jesus Christ. Jennay Smith has an MA in Theology from Denver Seminary and writes and edits curriculum for her church in Littleton, CO.